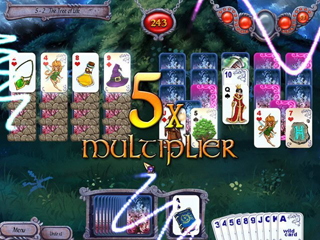 Get 3 amazing games featuring hundreds of levels of solitaire fun in one incredible download! 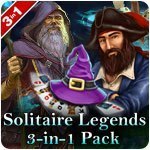 This amazing pack includes Seven Seas Solitaire, in which you must find your missing bride, conquer the oceans dangers and become a captain of legend; Avalon Legends Solitaire, where you'll travel through 200 unique levels, collecting magic cards along the way in your quest to reassemble the Deck of Nature; and finally, in Avalon Legends Solitaire 2, the fate of Camelot is in your hands! 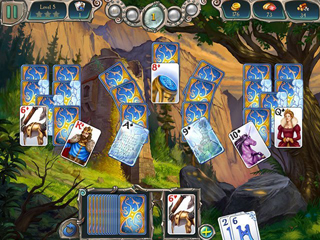 Harness the power of the cards as you travel across Avalon through 300 meticulously crafted levels of engaging solitaire to collect the resources you need to restore the kingdom to glory!